By Shreya Vajpei, Army Institute of Law, Mohali. 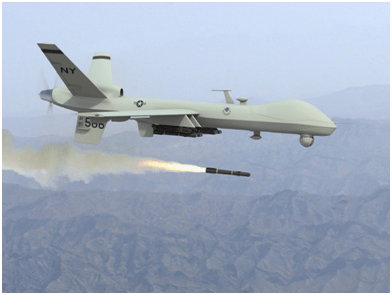 In the war against terrorism, drone strikes have become a premier choice for the United States because they are effective and pose minimal threat to the US military personnel. U.S. drones have struck targets in Pakistan an estimated 140 times since 2004, with 44 strikes already this year. Property and homes have been destroyed and unknown hundreds, perhaps thousands, have been killed or injured. The drone program was initiated during the second Bush administration, and has expanded considerably since President Obama took office, and 2010 saw more than twice as many drone strikes on Pakistani soil as 2009. But these drone strikes offer immense legal challenges. Article 2(4) of the U.N. Charter prohibits the threat or use of force by one state against another. Two exceptions to the Article 2(4) prohibition on the use of force: (1) when the use of force is carried out with the consent of the host state; and (2) when the use of force is in self-defense in response to an armed attack or an imminent threat, and where the host state is unwilling or unable to take appropriate action. Pakistan has effectively, if not publically consented to the drone strike, as is evident from information released by Wikileaks, that Pakistan had supported drone strikes. The US further contends that these strikes are part of their self-defense in response to the attacks of September 11, 2001. The Bush Administration argued that 9/11 triggered the right of self-defense against al-Qaeda and the Taliban, sparking an armed conflict with those entities– a ‘Global War on Terror’ (GWOT), which is conceptualized as a non-international armed conflict against non-state actors without any territorial boundaries. Under the rules of armed conflict, each drone strike against militants in Pakistan must conform to jus in bello principles “in consideration of the “delicate balance to be maintained between military necessity and humanitarian considerations.” According to IHL, a civil cannot be attacked unless he directly takes part in hostilities. In Pakistan, the distinction between a civilian and a combatant is even more difficult given societal and environmental factors such as the proliferation of weapons in tribal areas and mixing between civilian and combatant populations. 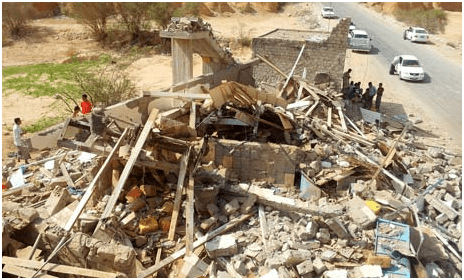 Even if Pakistan has consented to such strikes, itstill has a responsibility to respect and protect the human rights of its own citizens and other individuals within its territory. Extrajudicial killing is prohibited under international law and Pakistan cannot support it.